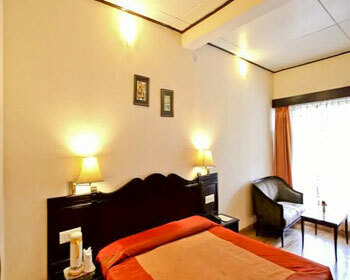 Hotel Krishna Nainital is a three star hotel and is part of renowned Krishna Hotels and Resorts in Uttarkhand. It is a renowned name in the hospitality industry for more than four decades. 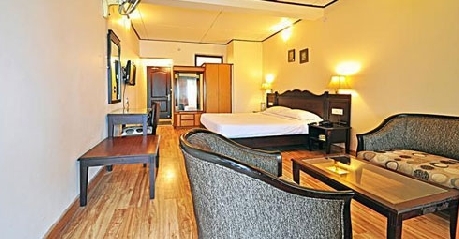 In Nainital, the hotel is located on the Mall Road and offers magnificent view of the Nainital including the Naini Lake. 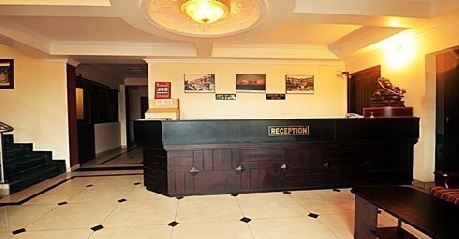 The hotel offers pleasant stay with personalised services to its clients which make them to feel at home. Suited for both leisure as well as business traveler. 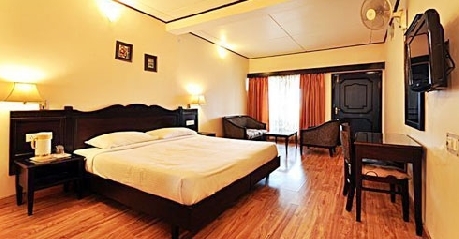 The hotel is in the vicinity of bus station and many places of attraction in Nainital like Naini Lake, Naina Devi Temple, China Peak, Khurpa Taal, Bharat Rathna Pt Govind Ballabh Pant High Altitude Zoo, Snow View Point and Dorothy’s Seat. 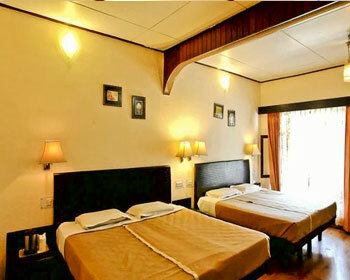 The hotel also offers sightseeing trips and adventure sports. 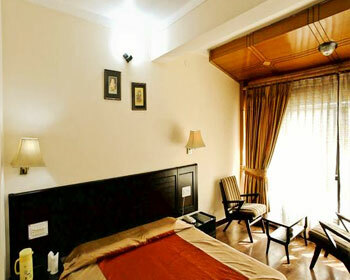 The luxurious room comes with private balcony. The amenities provided are 24 hrs room service, laundry, attached bathroom with 24hrs hot and cold water, TV with cable/satellite connection, Wi-Fi, Internet, direct dialing telephone, parking, doctor on call, concierge service, airport transfers, safe deposit lockers, etc. 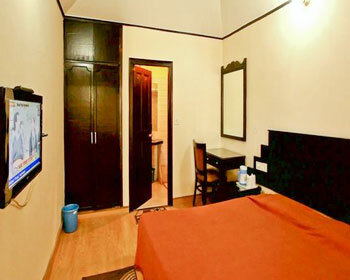 The spacious and well adorned room come with amenities like laundry, 24 hrs room service, TV with cable/satellite connection, attached bathroom with 24hrs hot and cold water, Internet, Wi-Fi, parking, direct dialing telephone, concierge service, doctor on call, safe deposit lockers, airport transfers, etc. These are ideal to stay when you travel with your family. The amenities available are TV with cable/satellite connection, 24 hrs room service, laundry, attached bathroom with 24hrs hot and cold water, Wi-Fi, direct dialing telephone, parking, Internet, safe deposit lockers, doctor on call, airport transfers, concierge service, etc. 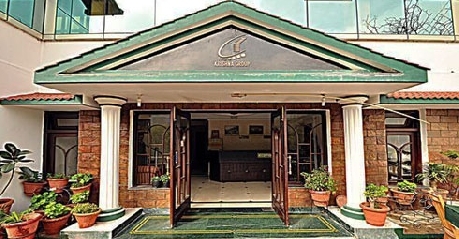 The spacious and luxurious rooms that are well furnished comes with amenities like attached bathroom with 24hrs hot and cold water, 24 hrs room service, TV with cable/satellite connection, Wi-Fi, laundry, parking, direct dialing telephone, safe deposit lockers, Internet, concierge service, airport transfers, doctor on call, etc. 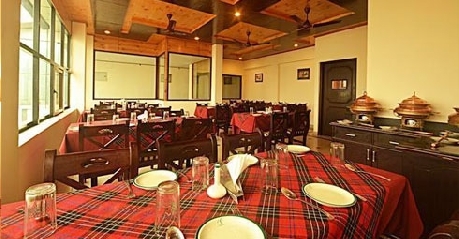 The multi-cuisines restaurant is elegantly designed and serves delectable Indian, Mughlai, Chinese and Continental delicacies. You can feast your eyes with the beautiful view of the Naini Lake and feast your palate with delicious food. You can also ask for the Kumaoni delights. It serves both in house and outside guests. Valet parking is available.